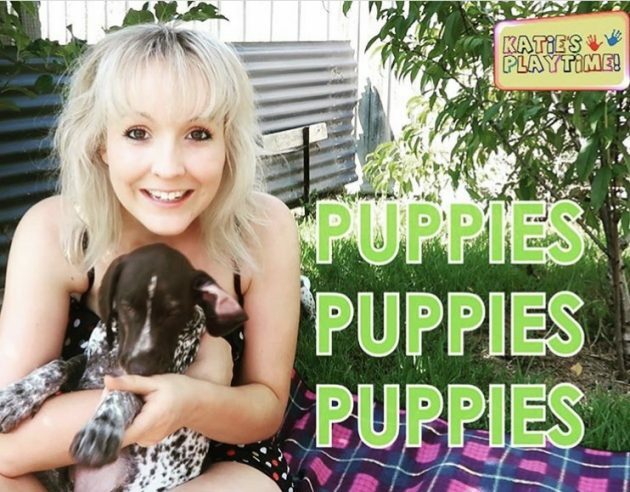 I had the best time in the world meeting Nala & Ayva, (German Shorthaired pointer puppies). My sister Joanne has got 2 puppy dogs and she left them with me for the day! Puppies are so much fun, we played and played all day and I taught them how to sit and give their paw to receive treats. The best thing to do is find out what your puppy loves the most and use this to train them into doing all sorts of tricks. Ayva and Nala are so smart, they picked up the tricks in no time! We even went as far as ‘Laydown Roll over !! Ayva & Nala are sisters and are the same age? Nala is cheeky, smart and loves belly rubs! Ayva is Naughty and playful and loves her treats! How to teach Puppies to Sit !! !